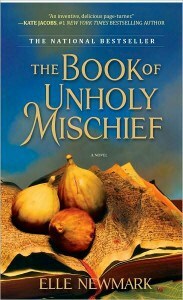 In 1498 during the birth of the Renaissance, Luciano is a young thief who dreams of a better life for himself. Thanks to the kindness of a master chef, Luciano is taken in off the streets and taught the secrets within the doge’s kitchen. Now with food in his belly and a father figure in Chef Ferraro to guide him along the way, Luciano will have a promising future to look forward to. Behind his Maestro’s locked kitchen cabinets, there are secrets that former friends of Luciano’s would kill to possess. Not merely a chef, Ferraro is a guardian of knowledge that the world is not yet ready to possess. If Luciano can get the fabled book that contains these deep secrets, the woman he loves will become his wife and he will be richly rewarded for putting it in the hands of Ferraro’s enemies. Luciano must decide whether he will betray Ferraro’s trust to satisfy his own desires, or if he too will give his life to protect the knowledge Ferraro’s book contains. Before you start reading Elle Newmark’s The Book of Unholy Mischief, I strongly suggest you visit your favorite Italian restaurant and indulge in a dish with rich and flavorful sauces. If you start on an empty stomach, you’ll undoubtedly be craving creamy sauces, succulent meats, and hearty vegetables in no time at all. Not only is this a coming of age tale, but it is also a vividly imagined representation of what life may have been like for a head chef’s young protege in the Renaissance, chock-full of mouth-watering descriptions of fantastic feasts fit for a king. I wish that Newmark had spent more time explaining the historical significance of the Renaissance; I admit I am rusty when it comes to World History and would have appreciated those tidbits to better understand the significance of the book that Ferraro was entrusted to protect. I would have equally delighted to know more about the role of a doge, as I never felt she satisfactorily defined what one was. My curiosity got the best of me, and I had to put down the book in the middle of a passage to quickly look up the definition so I could carry on with the story. 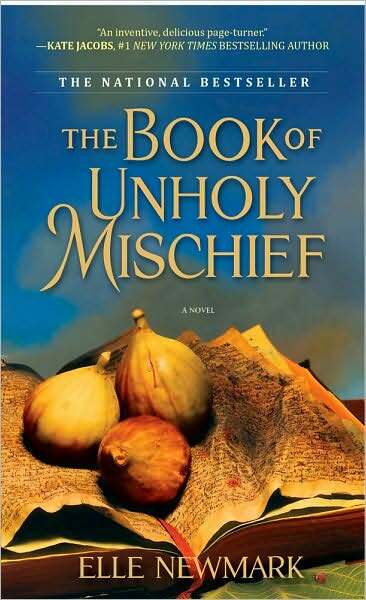 The Book of Unholy Mischief is considered to be high in suspense by some book critics, but I just never felt that sense of urgency. Because it’s told from Luciano’s perspective, the reader already knows in advance that he will come out of his experiences alive, if not necessarily well. The fates of other characters held more suspense in that respect; because they were secondary, they were disposable, and it kept me guessing whether they would live or die. I loved discovering this new-to-me author who writes about one of the most intriguing periods of history. Because of her genuine characters, colorful descriptions, and blending of history with fiction, I am more than likely to seek out the rest of her books.